Conclusions: Is Osaki Massage Chair Worth Buying? What’s your idea of heaven on earth? A paycheck? Falling in love? We have it on good authority that folks who have discovered the heavenly experience of an Osaki Massage Chair have already found their happy place and aren’t shy about extolling their chair’s virtues. First produced in Japan where it’s said that one in five households owns a massage chair, Osaki always heads lists of “top rated” massage chairs from people around the world who know a great experience when they sit in it to achieve a Zen-like state of tranquillity. Can you put a price on relaxation? You know the answer to that question–especially if you’ve been lucky enough to test–or you already own–an Osaki Massage Chair and you’re on a serious search to find the one that’s perfect for your corner of heaven. Disclaimer*: The star rating shown above is our own. 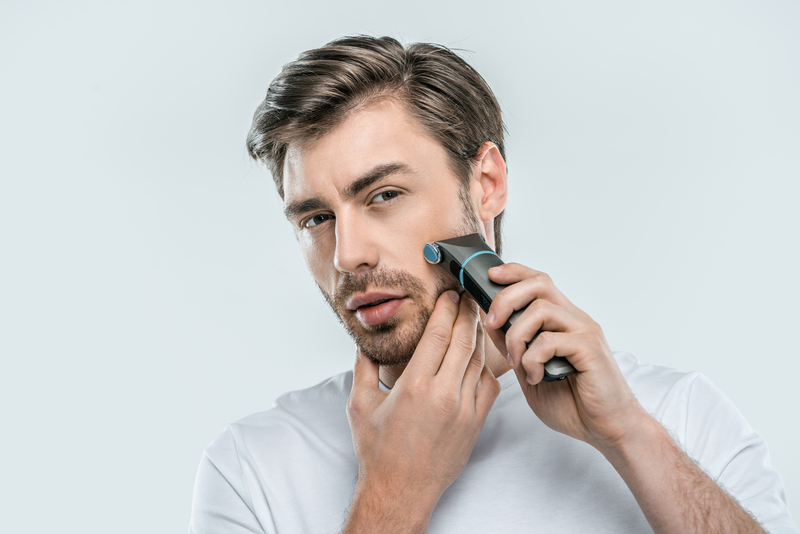 If you’re new to the brand and are just starting your shopping journey it’s important to know that the Osaki brand is known for quality of workmanship, the latest in technological innovation and excellent customer service. 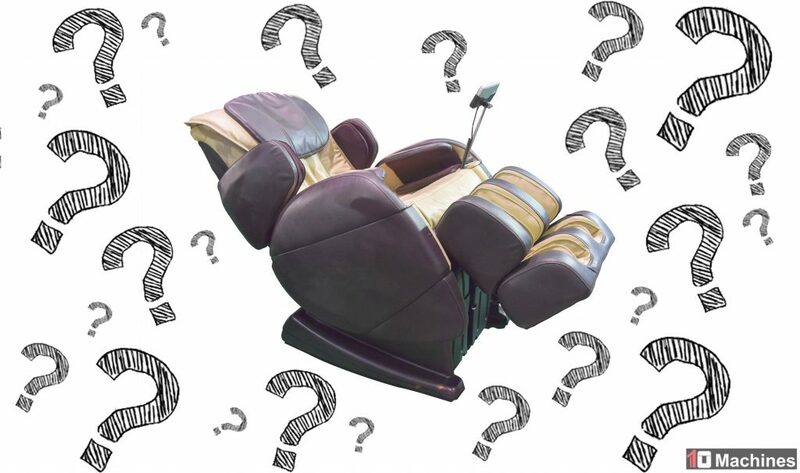 What separates the Osaki Massage Chair from the crowd? Its unique body scanning technology, myriad massage options, multiple automatic programming features that target specific areas of the body, and an overall experience that can best be compared to an hour on a massage table being worked over by the world’s best masseuse. Best of all, Osaki’s wide range of price points and the addition of new features as fast as engineers can intuit them, combine to produce massage chairs with impressive warranties on structural items competitors don’t cover, like frames. Further, don’t you want a chair made by a company fully dedicated to your mental and physical health. Intrigued? We thought so. Ready to find your bliss? We don’t have to tell you that the sheer scope and variety of massage chairs produced by Osaki is enough to send a shopper into a state of hyperventilation, but if you know anything about this brand’s reputation, you know that you can’t pick a bad chair-whether you opt for a high-end, middle-range or low-end price point. Osaki is a solid, up-and-up company that’s as committed to product excellence as it is to customer service. Some Osaki chairs feature L-track roller systems; some offer S-track roller systems; the newest styles are hybrids. Massage chairs made by Osaki feature NASA’s zero-gravity design to relieve user back and joint pain. Osaki is known for accommodating tall people who might otherwise not receive a full body massage. Proprietary body scanning technology virtually diagnose and identify body areas most impacted by stress and tension. Osaki’s engineers have discovered that it’s not the number of airbags used to construct a chair but the power they generate that simplifies construction. 6 automatic massage programs are available in most Osaki chairs that range from Shiatsu to Swedish massage. New space-saving designs mean owners sacrifice less floor space to accommodate their chairs. Color, variety and sleek design are the hallmarks of all Osaki massage chairs. The company offers limited warranties that cover parts, framework and even labor. 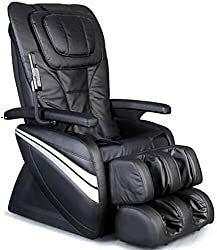 Below is the list showing Best Massage Chairs manufactured by Osaki in 2019 along with their weight and dimensions. You can also check the price on Amazon by clicking the link in the last column. If one look at the Osaki OS-4000T Zero Gravity Massage Chair gives you the impression that the sitter is about to blast off into the stratosphere, you’re not wrong. This updated massage chair has bells and whistles galore, including automated, zero-gravity incline, next-generation massage motor and a dedicated foot roller. Experience the best in computer body scan technology, lower back heat therapy, S-Track Movable Intelligent Massage Robot function and dedicated calf- and foot-massage centers, plus what Osaki has dubbed it’s “lumbar and hip squeeze” feature. This massage chair doesn’t require a PhD to operate it, either. The easy-to-use remote control gets things started and if you fancy autopilot mode, select from 6 programs and let the chair do its work. As the acknowledged “next generation of air massage technology,” the OS-4000T allows you to select from 5 speed and intensity levels. If you nod off (which is probable) just set the auto timer to turn itself off in five-minute increments that max out at a 30-minute massage. What’s the secret behind this reinvented Osaki massage chair? It’s a more streamlined version of its former self, so the total number of airbags employed to soothe your body has been decreased, yet area massage surface has been increased due to a reduction in valves that make a chair already known for its mechanical prowess even more dynamic. Zero gravity design for stress-free reclining. Unique roller system targets specific areas of the body. Re-engineered airbag design improves mechanics. The price point may be out of your range. The hefty silhouette could be problematic in small spaces. If your doors aren’t at least 28-inches wide, your OS4000T may not fit. Click here to see the price of the Osaki OS-4000T Zero Gravity Massage Chair on Amazon. The OS-7200H comes equipped with the brand’s signature computer body scan system plus a variety of targeted airbags that isolate and massage your head, legs, hips, shoulders, pelvis, calves, feet and even your hands if you’re plagued by Carpal Tunnel Syndrome. 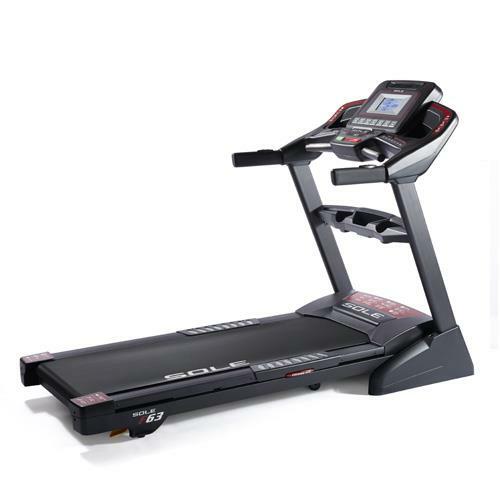 Add or ignore the heat function depending upon your physical condition and use the auto mechanism to determine the amount of time you want to spend in your Osaki OS-7200H to get desired results. If you aren’t a TV fan, your relaxing massage can be accompanied by your personal playlist since this chair is MP3 and iPod compatible and the built-in speakers keep CDs, books on tape or tunes in close proximity. 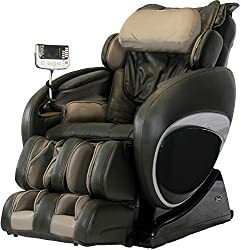 Frequently chosen by shoppers whose doctors prescribed a zero-gravity chair to speed recovery, the Osaki OS-7200H Massage Recliner Chair is a recovering person’s dream because the removable head cover and surface clean up easily yet provide a comfortable sanctuary thanks to thick upholstery and dynamic styling. Massage treatments include anti-stress, muscle relief, muscle recovery, wake up, Swedish massage, rolling, tapping, kneading and Shiatsu. Who wouldn’t recover faster with the Osaki OS-7200H under roof? An ideal choice for people recovering from procedures and treatments. Massages the entire body or just isolated areas and supplies heat when needed. The pre-programmed stretch option is wildly popular. If you weigh more than 275-pounds, this chair won’t work for you. Chair assembly could be problematic if you’re not handy. The instruction manual has proven difficult for some chair owners to follow. Click here to see the price of the Osaki OS-7200H Massage Recliner Chair on Amazon. The Osaki OS-4000 reclining massage chair is a hefty piece of furniture weighing 300 pounds, so moving it around isn’t an option unless you’ve got a crew! That handy remote gives you all the control you need: opt for 6 manual mode massage types and then determine the intensity, speed and location on your body that most needs relief. Wireless control is particularly handy when you’re reclining. The main heating pads, located in the lower lumbar area, deliver soothing relief as you enjoy the zero gravity aspects of this affordable chair. Count on a large number of features found in more expensive Osaki chairs. Program the timer to turn itself off after up to 30 minutes and you won’t suffer after-effects delivered by other massage chairs fitted with rollers that can be overpowering. If one area of your body is in need of massage, you can target it exclusively or intensify your neck and shoulder experience using by flipping over the pillow to achieve a more targeted massage in that area. For folks who have trouble reading small print, the chair controller display could be challenging; buttons that select settings are small, but otherwise, this chair has so few flaws, it remains one of the company’s most popular sellers. Pressure on the body is immediately relieved. Looks and feels like a more expensive chair. Heat and massage elements combine for a euphoric experience. 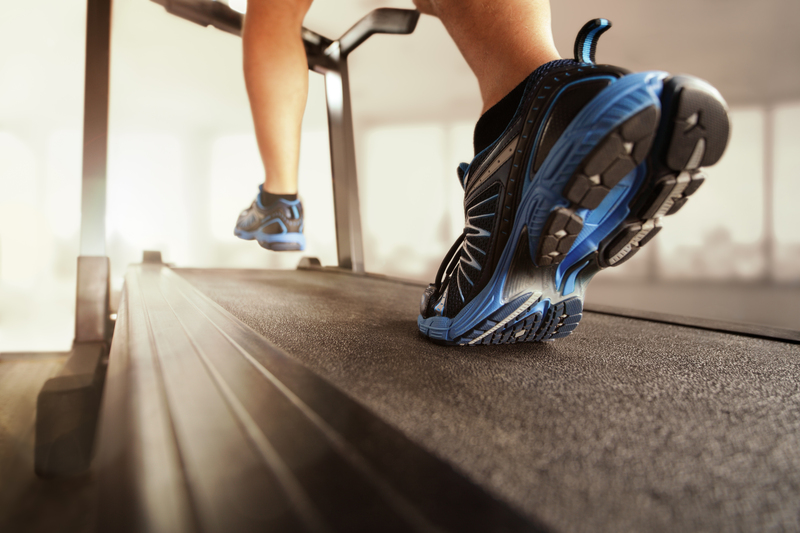 The Smart-set feature may be too powerful for some users feet and calves. The chair arrives unassembled; you may need set-up help. Despite marketing claims, the size of this chair may not suit you. Click here to see the price of the Osaki OS-4000 Zero Gravity Heated Reclining Massage Chair on Amazon. Do you have to liquidate the grandkids’ college funds to afford an Osaki Massage Chair? Not if you opt for the OS-1000 Deluxe Massage Chair that’s big on features and small on price. You still get everything you need to relieve your stress, aches and pains, including 5 pre-set programs (rolling, tapping, kneading or a combo of kneading and tapping), and the “Intelligent” 4-roller system is built for the long haul. Control the massage intensity, too. 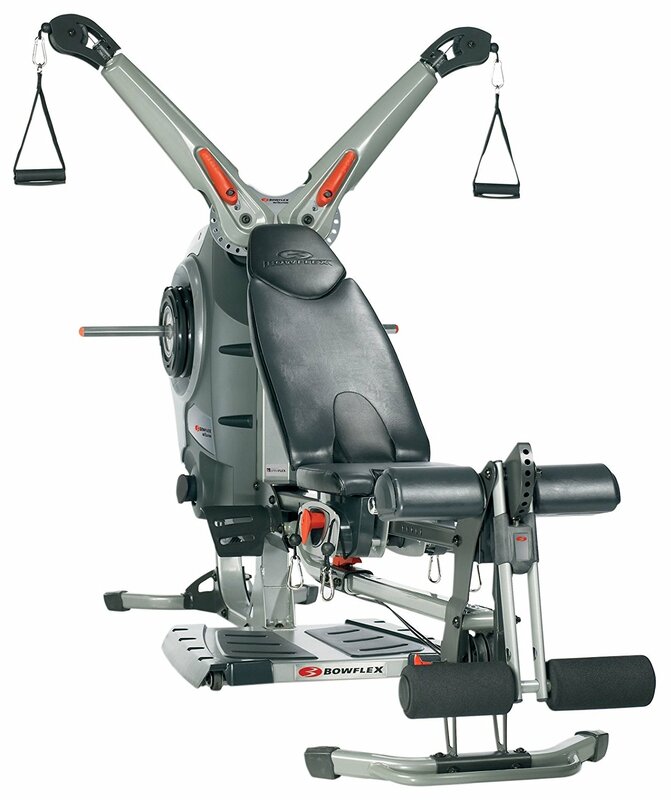 The OS-1000 reclines to 170 degrees to deliver zero-gravity benefits. And since this chair is fabricated of faux leather, clean-up is easy if you spill something or soil the chair. You can target just one area of your body if that’s where you need relief: legs, lower back or neck. There are 20 airbags within the framework of this Osaki massage chair that offer a great mix of cushioning and massage, and you glean improved circulation benefits, too. Even if you’re tall, you can expect to enjoy a full-body massage and all the comfort you could ask for. Range of motion roller heads extend from neck to tailbone. Choose the intensity of your massage to suit your needs. This Osaki massage chair sits on casters, so it can be moved. Assembly instructions can be hard to follow. The display is so bright, it can be distracting at night. Timed massage sessions last only 15 minutes. Click here to see the price of the Osaki OS-1000 Deluxe Massage Chair on Amazon. Trying to find people who find fault with the Osaki OS-3D Pro Cyber Zero Gravity Massage Chair is really hard. Despite the hefty price, there are so many extras to recommend this chair, sales remain strong. 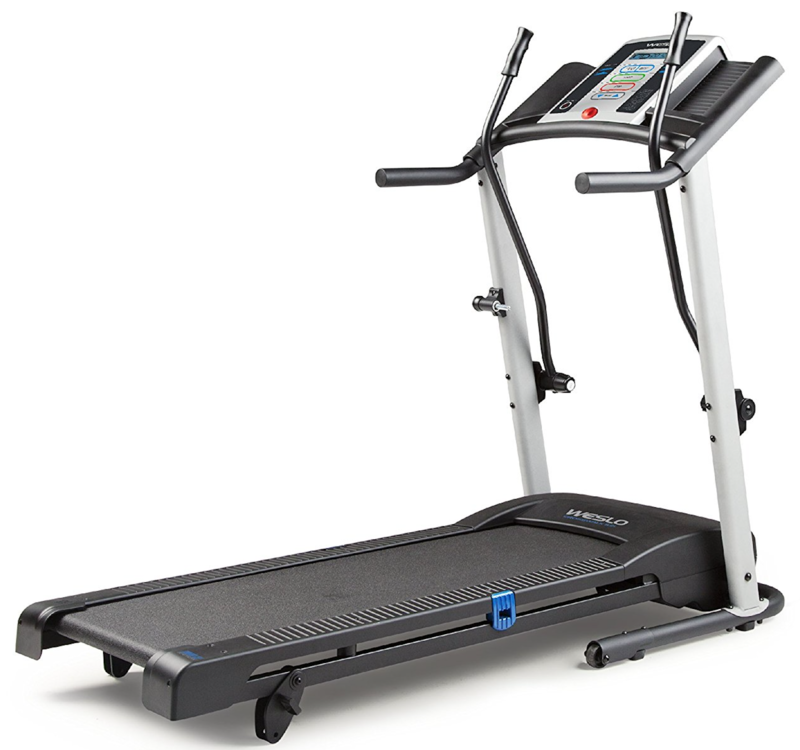 When engineers claim this Osaki is designed with evolved 3D massage technology, they’re not blowing smoke since these inner workings have been proclaimed next-generation by people in the know. The Pro Cyber has 36 airbags, a full-size remote control, targeted massage features that isolate specific areas of discomfort and you enjoy heat and massage features while reading, watching TV or using the MP3 connection to provide the background music for your spa-like experience. The auto timer switches off after 15 minutes should you nod out-but you can always reset it and return to your state of euphoria. Futuristic 3D evolved massage technology. 2-Stage zero gravity benefits exceed the norm. 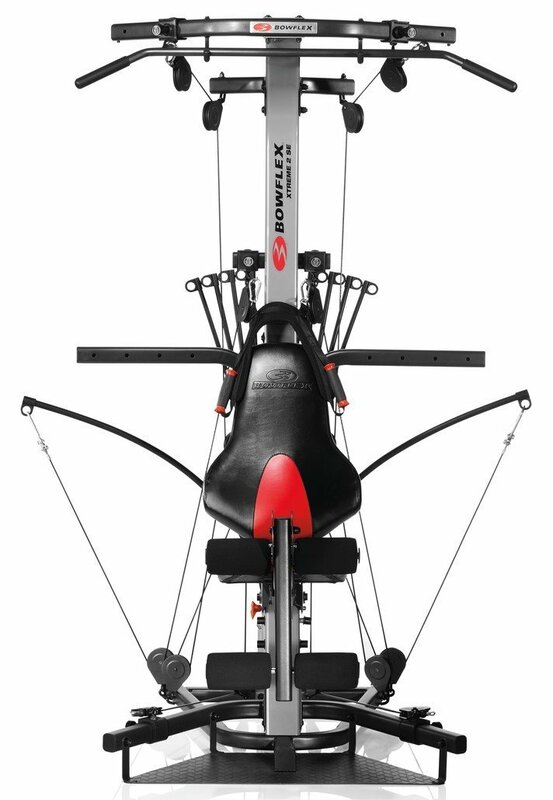 Recognized by reviewers for being mechanically superior. The 15-minute timer cut-off may be a turn off. Click here to see the price of the Osaki OS-3D Pro Cyber Zero Gravity Massage Chair on Amazon. You’re familiar with the concept of 2D and 3D, but Osaki takes it to the extreme by engineering the Osaki-JP Premium 4S Japan Massage Chair that could make you swear off “human massages” for life! There’s a reason the JP Premium bears the name of the nation known for massage techniques: 4D technology that drives unique features sets this chair apart from competitors, which is why it comes with so impressive a price tag. 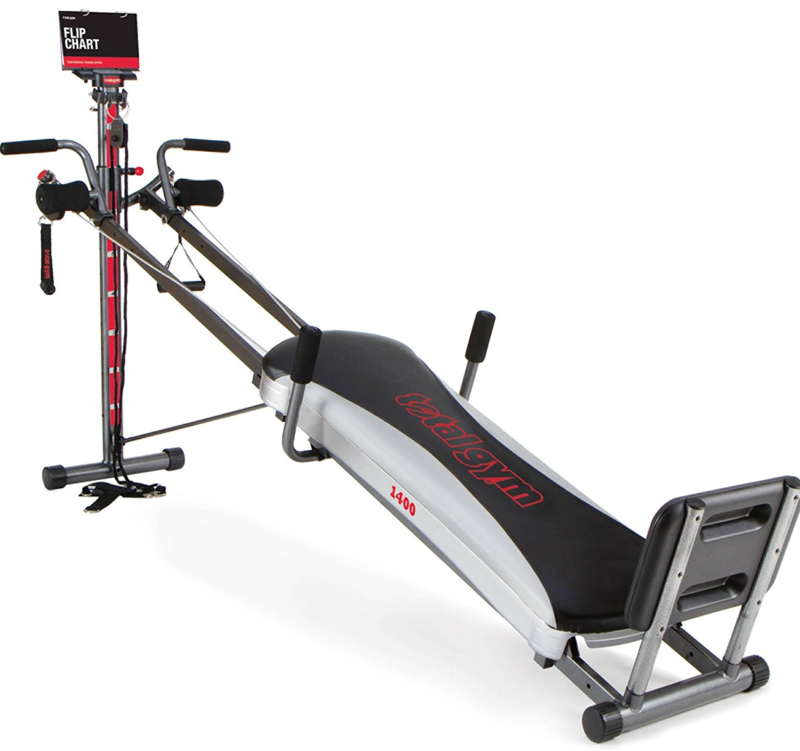 The stretch massage function is controlled by an easy-touch remote device that displays programming information. If you seek the ultimate pleasure, set it for the 30-minute “VIP course” over the 21 other types of programming and you can literally build a customize massage. All of this innovation is packed into a chair that is powerful and luxurious; a combination you may find irresistible. 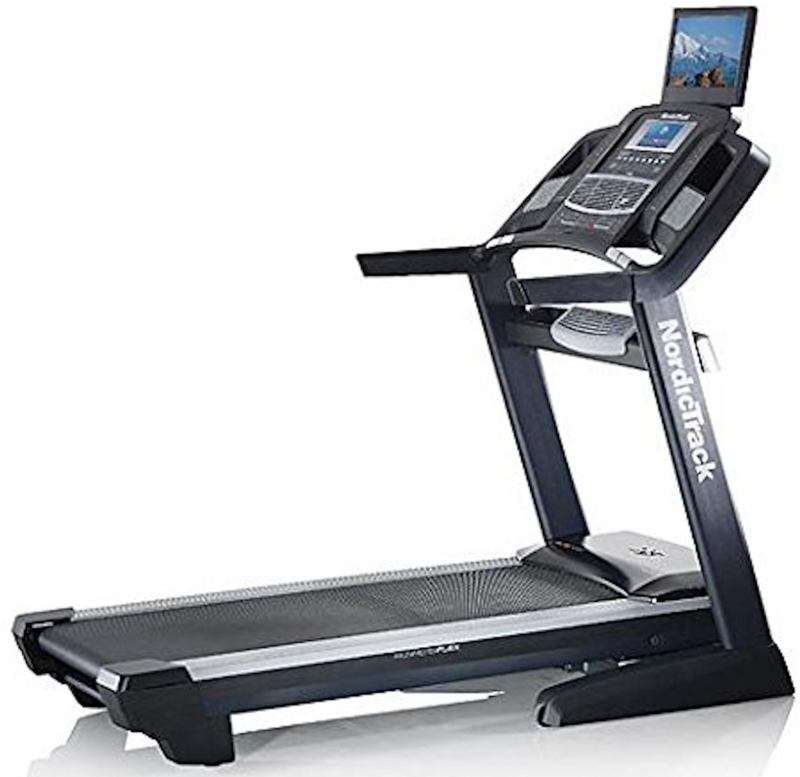 Built to comfortably support users up to 6-feet, 4-inches tall. Likely to last 15-20 years thanks to quality construction. Not meant for users weighing over 250 pounds. Vigorous massage strength could be too extreme for some. The price tag may put this model out of your range. Click here to see the price of the Osaki-JP Premium 4S Japan Massage Chair on Amazon. In addition to 51 air bag massagers that work in concert for a full-body experience–or a targeted session isolating calves and feet, arms and hands, hip and pelvis or just the legs–the quad roller head massage system is particularly effective in the outer shoulder area for people who sit too long in one position. Everything is connected to the computer body scan mechanism that makes the OS-6000C intuitive and state-of-the-art. There’s a port to connect your devices–MP3 and iPod–and built-in speakers broadcast sound. You needn’t worry that your investment can’t be amortized over a long period of time; because this chair is built to last: it’s got multi-layer padding, a solid infrastructure and the mechanics are solid. One of the first Osaki chairs to feature power surge and overheating override functions, this chair is worry-free, so use the remote to set your favorite mode massage mode and relax your tension and stress away. Recline angle expands from 120- to 170-degrees. Synthetic leather covering resists dirt, grime and spills. Equipped with overheating and power surge protection. You’ll need an expert to help you decipher warranty terms. Expecting real leather? Sorry to disappoint. Grey/taupe/silver color mix may not match your furnishings. Click here to see the price of the Osaki OS-6000C Deluxe 3D Massage Chair on Amazon. If you’re going for looks and performance, the Osaki OS-3000A zero gravity chair has your name written all over it. 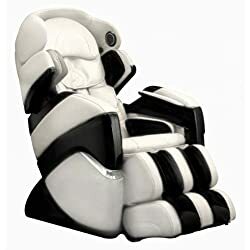 Like the aforementioned OS-6000C, it’s packed with features that include auto recline, leg adjustment, a timer, a remote control with chromotherapy lighting; all of which are underpinned by computer body scan technology that’s at the epicentre of this chair’s operative features. Have you had problems in the past getting a full-back experience? Your lower back has a treat in store that could mediate any hesitation you may have about spending the same amount of money on this chair as you would on the Osaki 6000C. The manufacturer promises the “longest massage range” in its library and includes a vibration setting that many massage chairs lack. Choose from buttock rolling, dual action, tapping, Swedish or Shiatsu massage simply by selecting your favorite from the remote pad and you’re good to go. Customize the chair to your specifications by setting the leg adjustment and width control and you enjoy insurance in the form of overheating and power surge protection. Auto recline to your heart’s content and take advantage of the seat and leg vibration massage option you won’t find in older Osaki massage chairs. Comes standard with hard-to-find vibration massage setting. The ultimate full-back massage experience. One of the most elegant-looking chairs Osaki produces. Assembly and set up may generate additional cost. 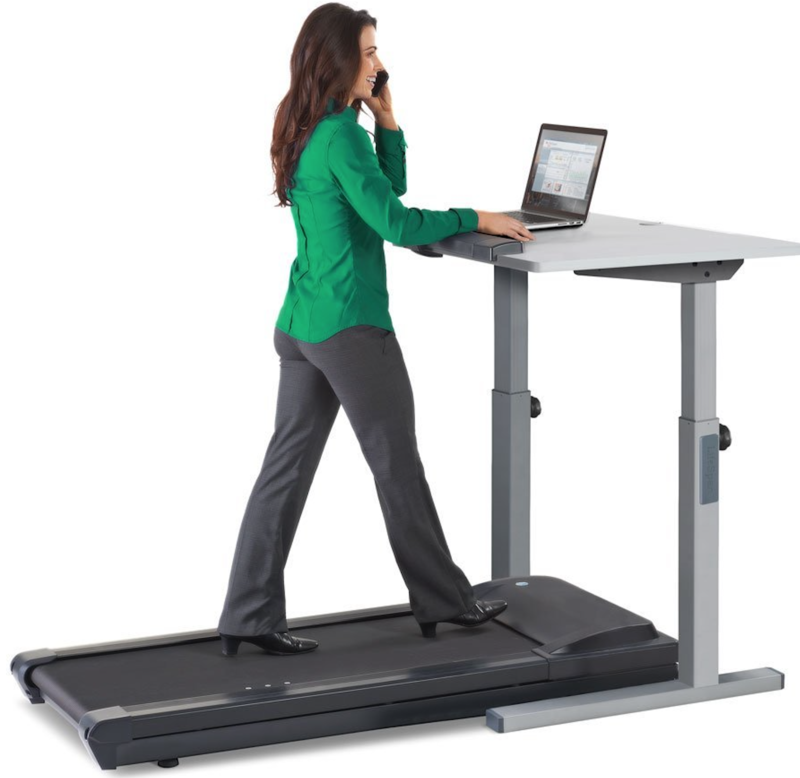 Not recommended for users weighing over 290 pounds. Finding info on this chair’s warranty could be tricky. Click here to see the price of the Osaki OS-3000A Zero Gravity Massage Chair on Amazon. Because it’s fairly new to the market, you won’t find a deluge of consumer reviews about the Osaki OS-7000 massage chair, but its pedigree still impresses. You receive zero gravity body relief and innovations you won’t find elsewhere-even on other Osaki products-like the new Tai Body Stretching feature, enhanced infrared body scanning and you’ll even be able to relieve pelvis and hip area complaints with a concentrated treatment. Choose the Osaki OS-7000 from the crowd and you can select from 6 Healthcare automated programs, each of which has been designed to relax while relieving pain and discomfort. The brand’s “Intelligent” 4-roller system offers extensive vertical coverage (31-inches in total) prized by tall people whose previous experiences with massage chairs may have literally come up short. The new head massage feature is awesome! The pivoting arm massage feature adds just the right element to the chair’s variety of features if you push your arms to the limit and can’t find a massage chair capable of relieving pain in this area. Though not an inexpensive purchase when compared to other Osaki products in this review, you may be happy to pay the price for a chair that offers 6 automated programs designed exclusively for users facing health and rehab challenges. Intense head massage feature is new and revolutionary. Users rave about the Thai stretching program. Takes deep-tissue massage to new heights for folks with medical issues. The OS-7000 has yet to be fully evaluated by consumers. Because it’s new, shoppers will find an extremely wide pricing range. If you fret over mechanical failures, be advised that this chair has 13 motors. Click here to see the price of the Osaki OS-7000 Massage Chair on Amazon. As the most expensive Osaki massage chair in this review, you’re probably expecting a product that functions above and beyond the competition. You won’t be disappointed. The Alpina is the result of engineering genius, combining S-track and L-track technology for smooth, consistent operation. Pre-set your choice of 12 therapy programs after a body scan that maps key areas in most need of massage. The Osaki Alpina’s brain factors in the user’s height to determine coverage area, but if you’re not the only one using the chair, you can re-calibrate it so the system is ready to deliver a customized treatment for the next user. 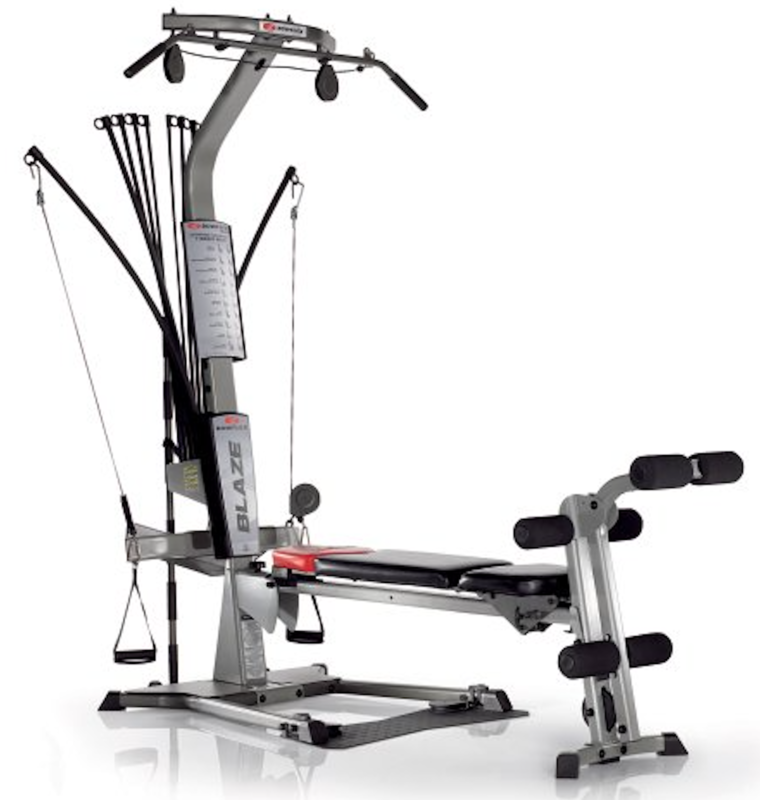 In addition to efficient S and L track roller workings and 12 pre-set program choices, you’re treated to 6 popular massage style options (including Shiatsu and Swedish) via the touch screen controller. Use the Bluetooth speaker connection to help block out noise when you relax. The Osaki OS-Pro Alpina is intuitive so you don’t have to figure out where you need the most amount of applied pressure. An “ache sensor” is built into this chair. It senses body tension and responds via 22 “Next Generation” airbags that go to work reducing aches and pains. Even your feet will appreciate the reflexology-style massagers that pamper the soles of the feet while stimulating the entire body’s circulatory system. 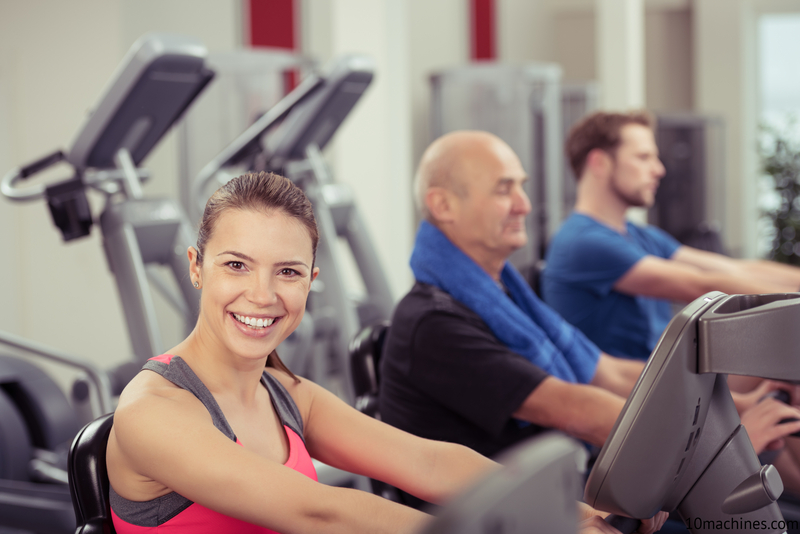 Automatic therapy options include General, Recovery, Sleeping, Stretching, Man Health, Kidney Vigor, Deep Tissue, Wake Up, Healthy Regiment, Older Vitality, Woman Beauty, and Spleen Digest. The multi-language tablet delivers data in English, Chinese, Spanish and French. Proprietary “ache sensor” identifies and addresses the body’s trouble spots. Rollers are 2D; you may prefer an Osaki with 3D or 4D rollers. Crafted of synthetics: faux wood grain and leather. At 285+ pounds, moving the Alpina around can be difficult. Click here to see the price of the Osaki OS-Pro Alpina Massage Chair on Amazon. This substantial massage chair (it weighs 300 pounds) is new to the market so don’t look for bargains yet. The TP-8500D is a new generation of massage chair featuring improved L-Track massage functionality and advanced body scan technology. Choose between 5 preset programs, avail yourself of the heating feature or specify a luxurious foot massage if you’re not in the mood to have your entire body massaged. This space-saving chair is an ideal pick for folks who live in small or restricted space. At 48-inches long, 30-inches wide and 34-inches high, you can slide it into a corner and save floor space–especially compared to other massage chairs built by Osaki that are space hogs. As you can imagine, a smaller silhouette paired with 300 pounds of weight makes this chair a sturdy, compact choice. There’s a USB charging station tucked under one arm, so you can plug in your devices and you can set the auto timer for up to 20 minutes for a longer massage if time allows. The charging port adjacent to the chair’s control panel gives you easy access if the remote isn’t handy (or if you misplace it with the TV remote!). Chair owners enjoy the results of being pampered by 36 airbags and can opt for 6 custom massages (flapping; kneading; knead and flap; knocking; Shiatsu and tapping). On the other hand, if you live for Swedish massages, you’re out of luck and may want to eliminate the 8500D from your short list. Body scan maps your spine and back to position rollers accurately. Pairs S-tracking with L-tracking for smoother massage. Delivers an impressive 53-inch-long massage stroke. Despite being smaller, assembly and delivery help could be required. Warranty on parts, labor and structural damage is limited to only 1 year. Given a 53-inch-long track, extremely short people may receive fewer benefits. Click here to see the price of the Osaki TP-8500D Massage Chair on Amazon. From the moment it appeared on the massage chair scene, the Osaki OS-Pro Maxim massage chair became a favorite of shoppers looking for mid-priced chair with enough customized features to make owners feel that they’re getting a more expensive model. Pro-Maxim users find this chair’s L-Track technology, classy touchscreen tablet remote control feature and 12 auto programs to be everything they dream about. The zero gravity recline is a given but the Pro-Maxim is also designed to occupy less space as you can fully recline while giving up just 4-inches of room behind the chair. L-Track Roller technology means extended reach: rollers travel from neck to lower back and glutes to the top of the hamstrings. 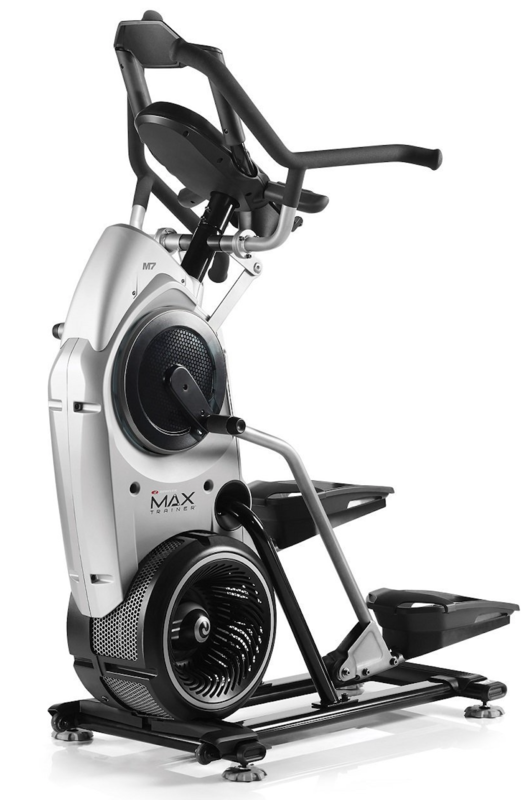 Because this chair’s roller reach is extensive, the Pro-Maxim does an amazing job of relieving extreme sciatic pain. In fact, folks who have owned previous iterations of Osaki massage chairs laud the dramatic improvement in engineering over perennial favorites like the 4000CS and 4000LS because this chair represents the future of Osaki chairs. Further, pre-programmed massages are easily managed by a tablet with a touchscreen that’s a breeze to use. Strategically-placed airbags impact more body surface than ever before, though it’s the isolated massages that most impress owners of this chair because they target distinct areas: shoulder, arm, hand, hip, seat, leg and foot. If you’re smart enough to select the Pro-Maxim, you also get bragging rights! Use the touchscreen tablet to control all functions. Bluetooth technology gives you access to your smartphone. The power-adjustable ottoman is a rare find in a massage chair. You may have to search long and hard for the lowest prices. If you insist on more than 22 airbags, this chair isn’t for you. You may find the user manual hard to interpret. Click here to see the price of the Osaki Pro-Maxim Full Body Massage Chair on Amazon. 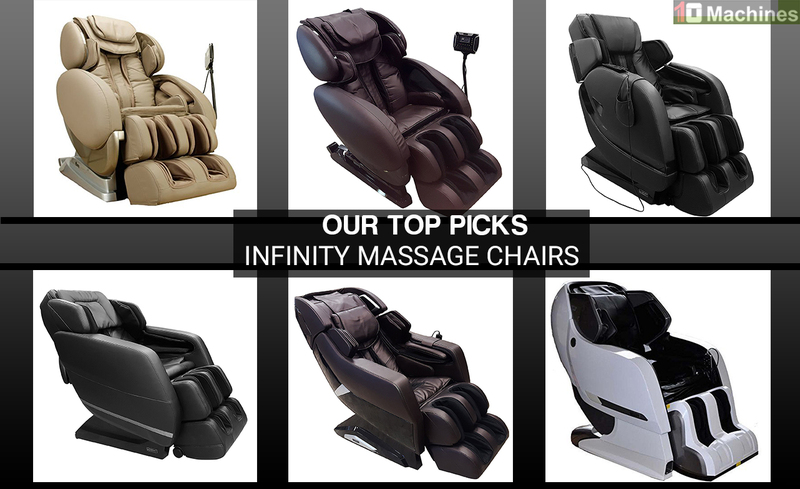 If your head is spinning after reading about the wonderful qualities and features every one of these 12 Osaki Massage Chairs possess, we sympathize, but by choosing to consider only the Osaki brand, you’re already on the right track. Here’s the downside of trying to make a selection: Even modest, inexpensive Osaki Massage chairs are packed with features and benefits, which can make picking just one a difficult decision–unless you’re unusually tall, your weight exceeds capacity of a couple of models or you must stick to your budget. If your decision rides on space limitations, refine your search to the last two; the TP-8500D and the Pro-Maxim. Both fit space-saving criteria and pricing between the two is similar, so you’ll have to evaluate features associated with each to find the chair that suits your lifestyle, physical needs and home décor. Brand fans and reviewers alike agree that Osaki quality and the company’s commitment to giving people the ultimate in relaxation chairs in a world filled with stress, fatigue and high-pressure is almost a public service. And since innovation drives Osaki’s reputation and mission, the company is likely to flourish in the future. So, if you can find a better massage chair brand–have at it. But, if you’re seeking the company that puts people’s health and well-being before profits, you can’t go wrong with any chair produced by Osaki, which is why massage chair owners keep coming back.